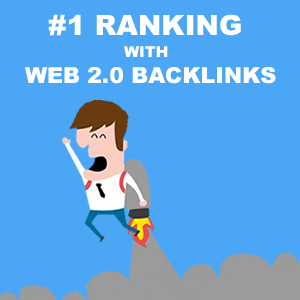 What Makes a Web 2.0 a Great backlink? Web 2.0s are effective because you are piggy-backing off their authority and trust. Yes, it is a sub-domain and your page authority will start out with a goose egg ZERO. they build Page Authority (PA) FAST. With only a few strong links, any given web 2.0 can go from a PA 0 to PA 30 +. In addition to the authority, you are also getting super a super relevant link. Relevancy is king when it comes to link building. Don’t forget that. So, the question is: how do We build a quality web 2.0? Since most automated programs can’t post on the best web 2.0s, we will do it manually. You need to remember that your first tier of links MUST BE high-quality. The days of spamming thousands of links to your site are long gone. Google wants authoritative, relevant, and trusted links hitting your site. If you fulfill all three of these important goals, then you will see the rankings you desire. There is no specific reason why I chose “5”, but it’s a good place to start. Depending on your keyword competition, you might need to make more. That content you place on your web 2.0 is the most important part of the process! so We only use native speaking English writers for your articles. Each article is custom written to be relevant to the host site and your target URL.5 Unique copyscape pass articles will be used. Using WordAi Premium writer. ✓✓Permanent links on high quality blog. ✓✓Images (1 image per post). ✓✓Will provide you full report after Work done. ✓✓ALL LINKS ARE DO-FOLLOW, That Will sure INCREASE YOUR LINK POPULARITY WHICH DIRECTLY BOOST YOUR RANKINGS. ✓✓ALL BACKLINKS ARE FROM High Quality Websites. Give you 5 manual High PR web 2.0 blog posts is ranked 5 out of 5. Based on 272 user reviews.